There’s only one way to dine alone—with panache. 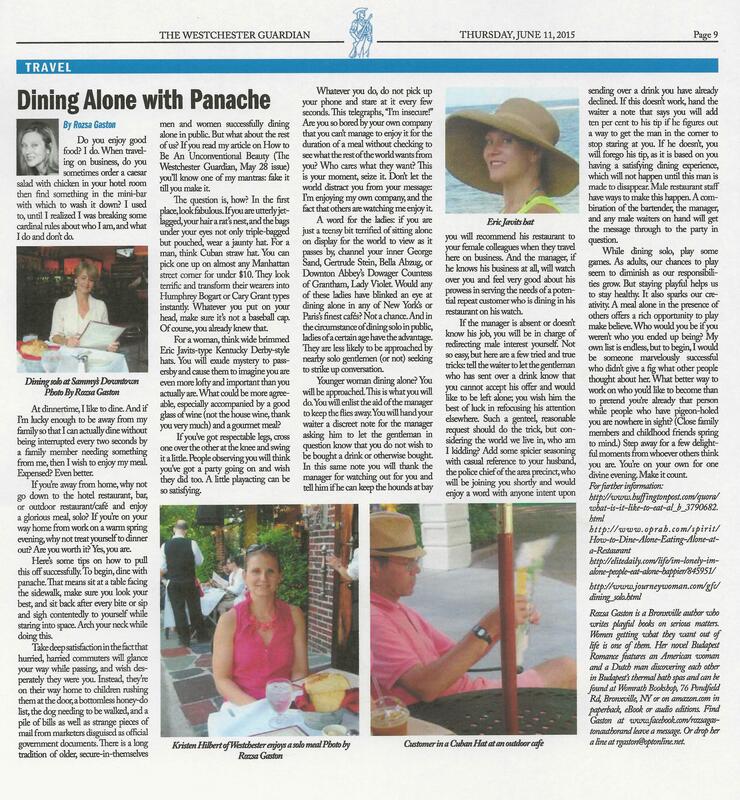 Dining alone with panache is the subject of my June 11 article for The Westchester Guardian. Enjoy and bon appetit!